The last days of 2012 are dwindling down, and we have spent December reflecting on the accomplishments, as well as the shortcomings, of our activities this year. With our technical support, the Tanzanian government is making plans to build a local helmet factory. Rio +20 Agenda included sustainable road safety in their agenda for 2012, but entering the third year of the Decade of Action for Road Safety (2011-2020), much more must be done to meet its goals. As I look back over this year, I have great hope for what we will achieve together in 2013. Road safety top agenda for FIA – World motorsport's governing body on Monday put its quest for improved road safety on a par with the fight against some of the world's deadliest diseases, warning of a high price to pay if nothing was done. AIP Foundation staff stationed in Bangkok, Phnom Penh, and Hanoi gathered with those in Ho Chi Minh City for two days in November for a workshop to leverage each countries' experience implementing the Helmets for Kids (HfK) program. 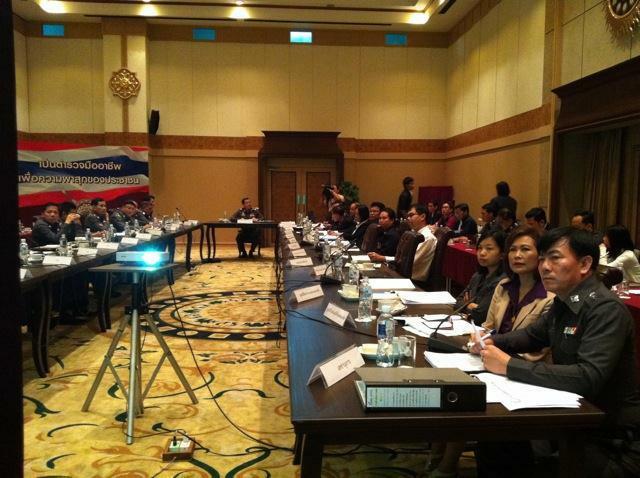 The workshop was sponsored by Travel Indochina. AIP Foundation has recently trained Travel Indochina tour guides and other staff in Hanoi and Danang on road safety for tourists in Vietnam, and trainings in Cambodia are forthcoming. Since former U.S. President Bill Clinton launched Helmets for Kids in 2000, over 500,000 helmets have been distributed worldwide. The main output from the workshop will be a manual shared by each country office on the lessons learned over Helmets for Kids' twelve years. Following a successful MoU signing with AIP Foundation in November 2012, the Tanzania Prisons Service (TPS) has made substantial progress towards developing a local helmet assembly factory. AIP Foundation staff offered technical support to generate terms of reference, to outline a feasibility study plan, and to create a timeline for implementation. A facility has been identified and is currently being modified to fit the needs of helmet assembly. Most importantly, the local government has secured financial support for the project. AIP Foundation is encouraged by the prompt action taken by TPS and excited for the growth of this initiative over the coming year. Traffic police called to act properly in year-end crack down – Traffic police found to be abusing their powers during the year-end campaign to crack down on traffic violations will be strictly punished. The order was made by the Ministry of Public Security to ease foreseen traffic chaos during the calendar New Year and Tet in February next year. The crackdown will be carried out from December 16 to March 15 next year. 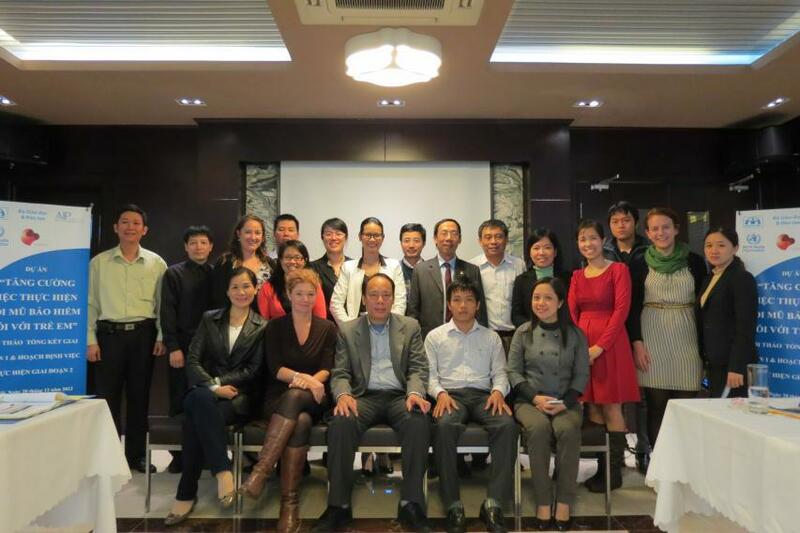 AIP Foundation concluded 2012 with a review of Helmets for Kids programs, sponsored by Johnson & Johnson, in three high-risk provinces of Vietnam, each of which hosted an evaluation workshop for stakeholders in the first week of December. More than 150 parents, volunteers, school administrators, and local government officials attended the workshops and celebrated the 48 lives saved by the helmets donated this year. Attendees also identified program shortcomings and made a plan to improve timing, communications, volunteer training, and law enforcement for the next school-year. 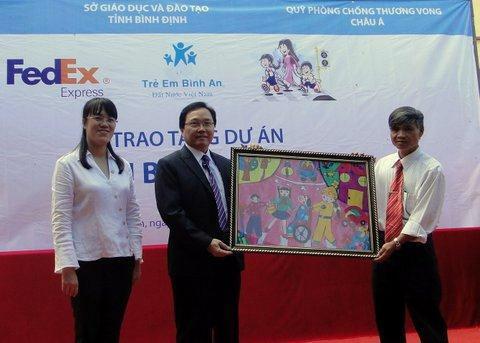 FedEx Express and Safe Kids Vietnam (AIP Foundation) held a handover ceremony on December 12th to launch the Safe Kids Walk this Way program at My Hiep Secondary School, Phu My District, Binh Dinh Province. This activity is part of the expansion of the Walk this Way program to Central Vietnam to reduce traffic accidents at schools located along National Highway 1A, through pedestrian safety education and environmental modifications. Phu My District ranks third in traffic accidents in Binh Dinh Province. AIP Foundation and FedEx handed over 3,472 reflective jackets and helmets to students from My Hiep 1, My Hiep 2, My Phong, and My Chau 1 primary schools, as well as My Hiep and Phu My secondary schools. 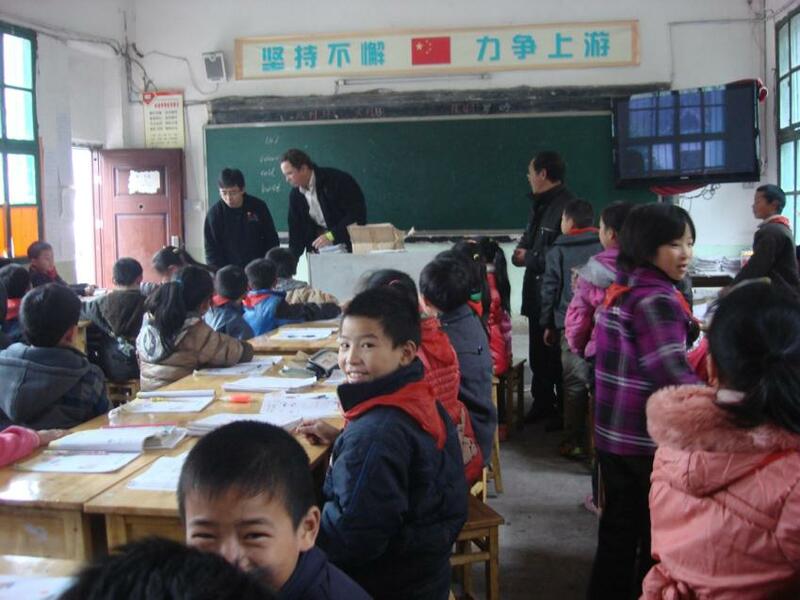 In addition, FedEx distributed 16,000 pedestrian and cyclist safety booklets to students at 30 primary schools and two secondary schools in Binh Dinh province. A number of infrastructure and signage improvements have also been introduced, including the installation of warning traffic lights and zebra crossings in front of the six target schools, to make it safer for students to walk in the street. Child use increases by 28 percent in Ho Chi Minh City following enhanced enforcement. AIP Foundation’s public awareness campaign “Children also need a helmet.” stakeholders gathered on December 20th in Hanoi to review the first phase of the campaign and map out next steps for a successful Phase II. The Ho Chi Minh City Traffic Police shared the results from the joint pilot of enhanced enforcement, sponsored by the World Health Organization, and communications in targeted districts of the city, evaluating ways in which the activity worked well and what will need to be improved when it is implemented in Hanoi and Danang in Phase II. The evaluation found helmet use among child motorcycle passengers increased from 22 to 50 percent from August to December 2012, during which time the enhanced enforcement campaign took place. In addition, the study found a significant decrease in the belief helmets could have negative effects on children. While this belief was prevalent among 32 percent of parents in 2010, only 9 percent reported so in 2012. In total 15 participants attended the event, representing the National Traffic Safety Committee, Ministry of Education and Training, road safety experts, as well as local officials from Danang and Ho Chi Minh City, and Hanoi. Amid a culture of hit-and-runs, a call for enforcement of the law – In a week that saw drivers flee the scenes of three separate road accidents that killed two people and injured six, a road safety monitoring organization criticized the toleration of "hit-and-run" road crimes and called on the government to impose maximum sentences for drivers who take flight. On December 7th, AIP Foundation hosted a discussion of new initiatives to increase Cambodia's motorcycle passenger helmet wearing rate at a consultative meeting with local government ministries, institutions, and media agencies. Attendees pledged their commitment to improving helmet use among motorcycle passengers, of whom only seven percent wear a helmet on Cambodia's roads. Representatives from the National Road Safety Committee (NRSC), Ministry of Interior, General Commissariat of National Police, Ministry of Education, Youth, and Sport, Ministry of Information, Ministry of Health, Phnom Penh Municipality, Provincial Road Safety Committees, and media agencies joined the meeting to evaluate progress made in the last three years. Government aims to cut New Year road toll by 5% - The cabinet on Tuesday approved a plan for the prevention and reduction of road accidents between December 27th and January 2nd during the New Year celebrations with an aim to cut the number of deaths and injuries by 5% from last year. Country Director Ratanawadee Winther represented AIP Foundation at a meeting of the Safe Road Behavior Sub-Committee for the National Road Safety Directing Center on November 30th, organized and chaired by the Royal Thai Police. Attendees mapped out a national campaign to decrease the number of deaths and accidents during the New Year celebration by at least five percent. The campaign kicked-off on December 1st, and activities have been concentrated from December 27th to January 2nd. A press conference announcing the campaign was attended by a number of journalists from various newspapers and TV channels. 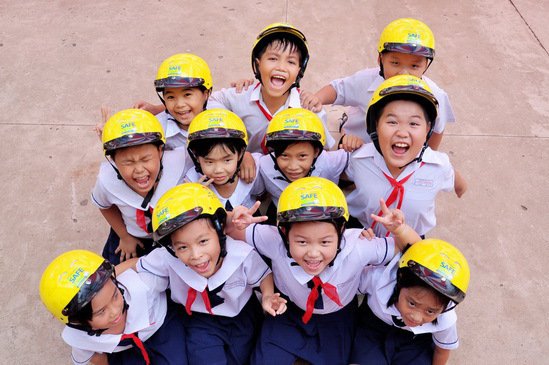 Since launching the Thailand Helmet Vaccine Initiative in Talad Kreab in July 2012, this Ayutthaya Province municipality's community model for road safety has served as an inspiration throughout Thailand. In December, Vespiario (Thailand) Co., Ltd. and Pandora (Thailand) donated 285 helmets and 100 t-shirts to students of Wat Talad Primary School. On December 18th, AIP Foundation organized a teacher training and extracurricular activities for 60 fourth grade students and teachers at Wat Talad Primary School. Vespario has signed a memorandum of understanding with the AIP Foundation to continue its support through 2013. The State Council in China designated December 2nd as the annual National Traffic Safety Day. Local authorities and stakeholders at different levels initiated celebrations of this day to promote traffic laws and safety knowledge and behavior. The Gaoqiao Primary School observed the National Traffic Safety Day with road safety class training attended by Chevron representatives. They practiced the "Stop, Look, Listen, Think" procedure at the traffic corner.